Reports about the strength of renewable energy and energy efficiency are coming from all quarters even places where oil reigns supreme. A new report from the epicenter of the fossil fuel world explains the significant opportunities in renewable energy and energy efficiency. The report suggests that institutional investors and banks should push governments to support policies that are more amenable to sustainability. 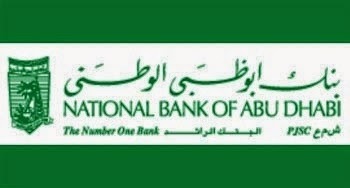 The National Bank of Abu Dhabi (NBAD) report is titled, "Financing the Future of Energy: The Opportunity for the Gulf’s Financial Services Sector." This is regional report with global implications. The report focuses on investment opportunities in the Gulf Cooperation Council (Bahrain, Kuwait, Qatar, Oman, Saudi Arabia and the United Arab Emirates) as well as Asia and Africa. According to a report prepared for NBAD by the University of Cambridge and PwC there are extraordinary sustainability finance opportunities in energy generation and energy efficiency in the next 10 to 15 years. It quantifies these opportunities as being worth tens of billions of dollars regionally and hundreds of billions globally. They mention that renewables already represent more than half of the global energy investments over the past several years. The required low carbon technologies are already available. The report cites PV and wind energy in particular. However they state that the finance community needs to work with governments to influence the types of policy changes that would benefit, "ambitious economic, energy and sustainability visions of the region." The report talks about adding balance to the old system meaning shifting support away from fossil fuels and towards renewables. They anticipate a 39 percent global increase in renewable-energy investment between 2013 and 2018. They also mention that a total of $1 trillion is required to finance renewable-energy in the region, however they state that this is but a small fraction of the global demand. "Renewable energy technologies are far further advanced than many may believe: solar photovoltaic (PV) and on-shore wind have a track record of successful deployment, and costs have fallen dramatically in the past few years," Alex Thursby, chief executive of the National Bank of Abu Dhabi (NBAD), said in the report. "In many parts of the world, indeed, they are now competitive with hydrocarbon energy sources." Renewable energy represents more than half of all new investments in electricity generation capacity. Around $260 billion a year has been invested in renewable technologies in the past five years alone. The cost of solar PV is down more than 80 percent since 2008 and modern wind turbines produce around 15 times more electricity than they did in the 1990s. The report explains that even low oil prices are unlikely to derail the momentum of renewable energy. It also pointed out that despite rock bottom coal prices markets continue to dry up.